In 3rd Grade, we study South Carolina History! It's so much fun! 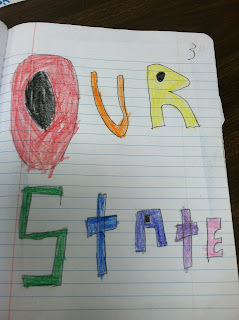 The first week of school we set up our notebooks by decorating them with our state symbols. Student glue them on the cover, but I reinforce it with packing tape. 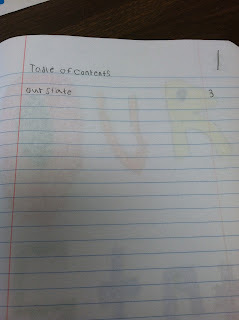 We then set up our table of contents. 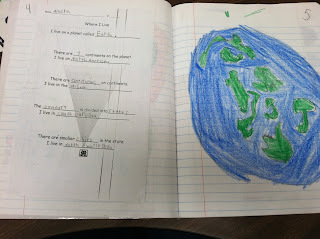 We organize our notebooks by each unit. 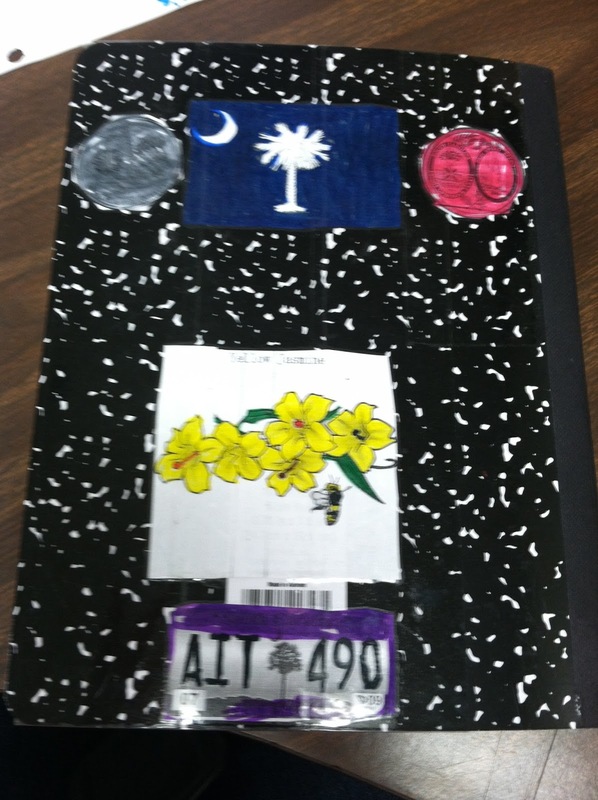 Before students can learn about South Carolina, they need to figure out where we live in the world! Next we move on to learning the difference between physical and human features. 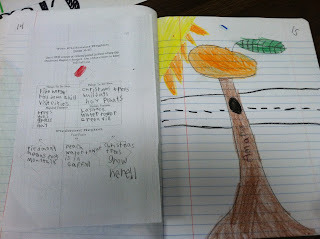 We take notes together in class and then students draw a picture with each note. 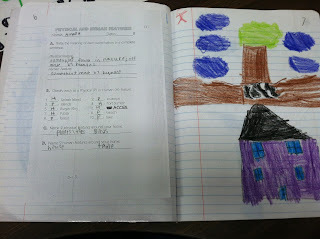 Here you can see she drew a tree as the physical feature and a house as a human feature. 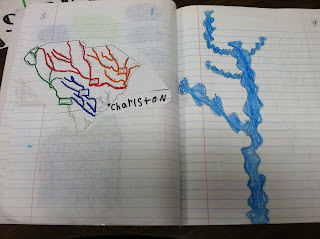 We then learn about the 4 main river systems in SC. We also learn that all the lakes in SC are human features!! 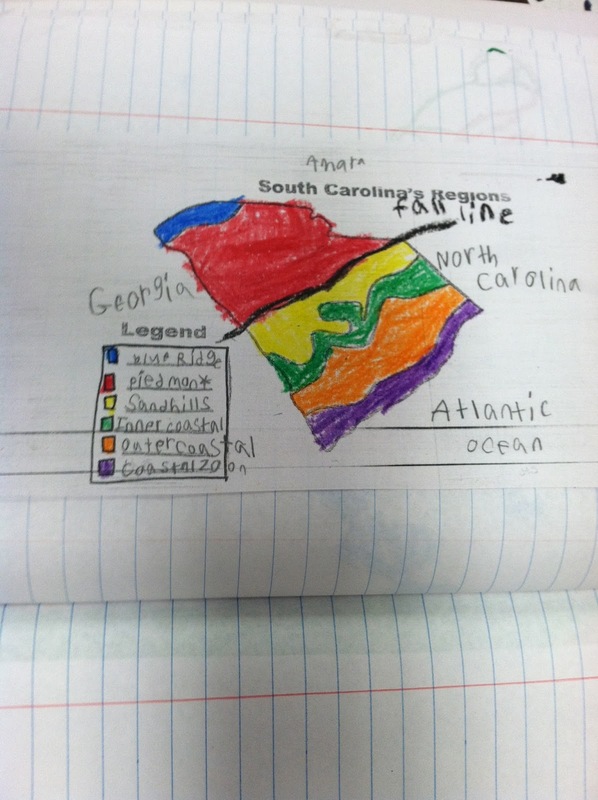 Learning the 6 land regions of SC by making a map. 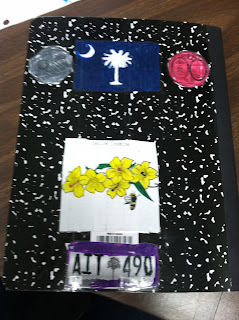 The Blue Ridge region...some of my students never knew there were mountains in South Carolina! The Piedmont Region...they love the peach water tower in Gaffney! Social Studies notebooks were set up when I first joined the 3rd grade team. I've been tweaking them the last two years and I am hoping to add more interactive components this year! I've seen so many great ideas on other blogs about interactive notebooks. Do you do note-booking in your class? Hey Rachel! I love the idea of a social studies interactive notebook!! 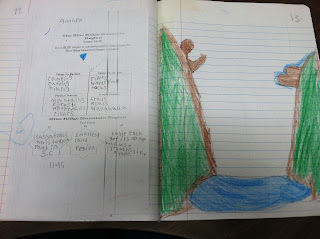 I've just dipped into using interactive notebooks with my 3rd graders this year for math, and I'm loving them! I may have to try a social studies version :) Thanks for the idea! 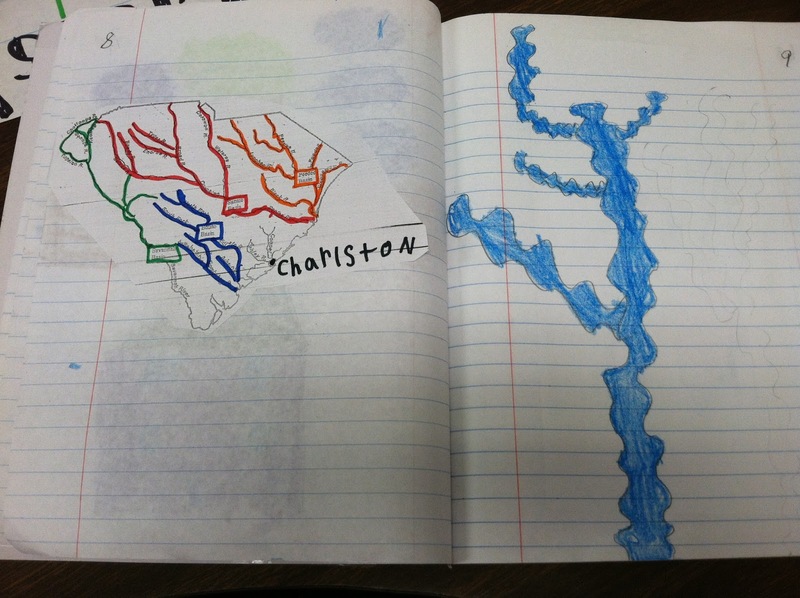 Love your Social Studies notebooks. I have bought some Interactive Notebook stuff this year that I hope to put into place also. I love all your activities for you SC interactive notebooks! I bought some reading interactive notebook templates and can't wait to use them! We did a state map and represented each region with different materials like sand,rice,etc. have fun! 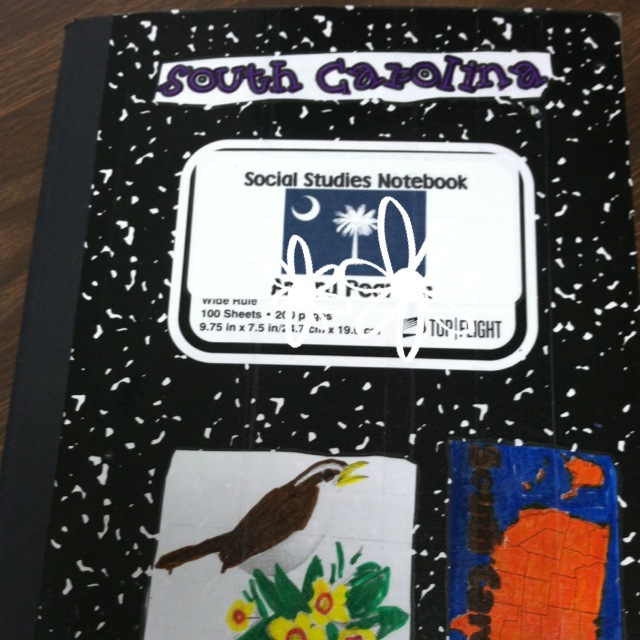 Your social studies interactive notebooks look great!! I bet your students enjoy working on these very hands-on and relevant-to-them state notebooks. I keep hearing about them, but everyone seems to be using them a little different. I really like the idea of it. Don't get me wrong, we use notebooks in our class but I am not sure I could technically call it and interactive notebook (although some of the stuff we put in it resembles it). I am really going to research this and hope to find more out, and maybe next year really try to incorporate that into my class. Thanks for sharing. I am going to follow this post and see what you find out. I love your notebooks! I just started interactive notebooks this year for social studies. They really help students organize information and stay engaged. I am attempting getting them started in 2nd grade.. but it is a challenge!!! Miss yall!! WOW! These are really cool! 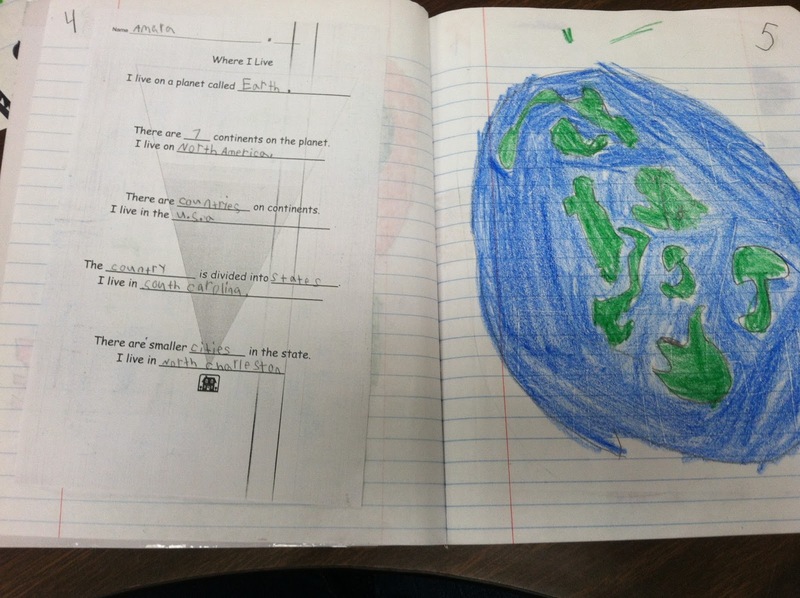 I use interactive notebooks for ELA and math, but I didn't think to use them social studies! Great pictures!